Secretary of State for Foreign and Commonwealth Affairs, Rt. Hon. 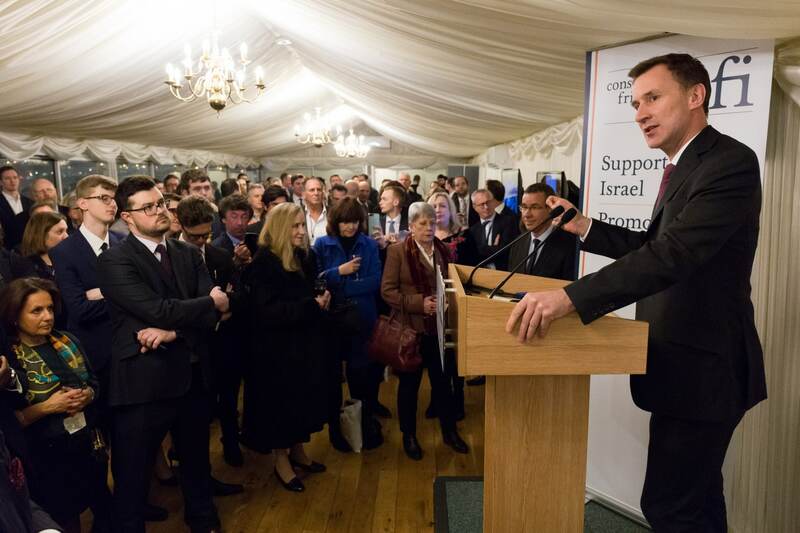 Jeremy Hunt MP, celebrated the “great friendship” between the UK and Israel and underlined that “Israel’s right to self-defence is absolutely unconditional” at Conservative Friends of Israel’s Annual Parliamentary Reception on Tuesday. 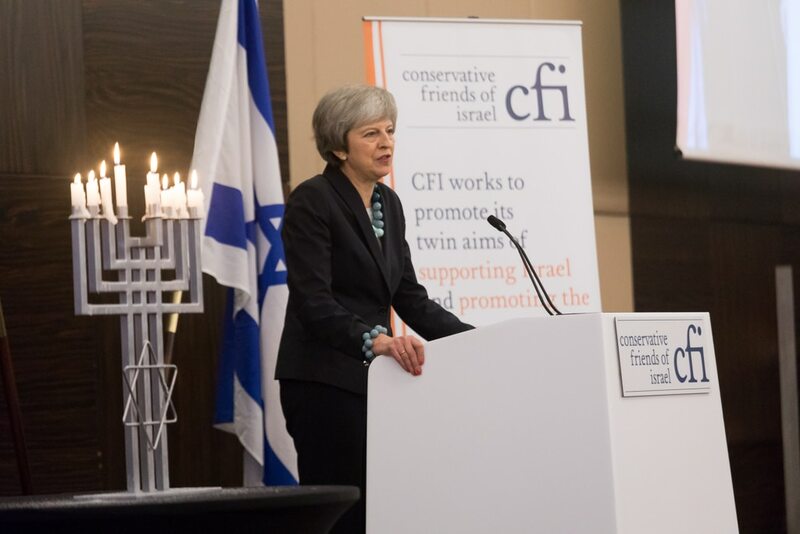 Addressing an audience of over 250 CFI supporters, including 50 parliamentarians on an eventful night when MPs were voting on key Brexit-related votes, the Foreign Secretary underlined hailed Israel as a “shining beacon” of democratic values. CFI were delighted to welcome Ambassador of Israel, H.E. Mark Regev, Conservative Party Chairman Rt. Hon. Brandon Lewis, Defence Secretary Rt. Hon. Gavin Williamson MP, Conservative London Mayoral Candidate Shaun Bailey, CFI Parliamentary Chairmen Rt. Hon. Stephen Crabb MP and Rt. Hon. The Lord Pickles, CFI Parliamentary Vice-Chairman Rt. Hon. Theresa Villiers MP, CFI Honorary President Lord Polak CBE and CFI Deputy Chairman Hilda Worth, who also spoke at the event. Foreign Secretary Hunt hailed the “very strong relationship” between Britain and Israel that originated with the Balfour Declaration, but added that Britain’s 1939 White Paper capping immigration to Palestine was a “black moment” in history. The Foreign Secretary stated: “There have been some black moments when we have done the wrong thing such as the 1939 White Paper which capped the number of visas issued to Jews wanting to go to the British mandate of Palestine”. It is believed to be the first such remarks made by a British Foreign Secretary. Praising Israel for its achievements, the Foreign Secretary said the UK-Israel partnership “has been a very strong deep-rooted friendship based on a huge historic admiration for what the State of Israel has achieved against all the odds, the challenges of geography, the challenges of history, the challenges of having many neighbours who have posed direct threats to the existence of Israel, the challenge of being pretty much the only country in the world where other countries are dedicated to your total destruction and elimination, and despite that Israel has absolutely thrived as a modern high-tech country with a huge amount of prosperity”. Foreign Secretary Hunt emphasised that the UK “will always stand shoulder to shoulder with Israel in stamping out antisemitism”. He added that last week he had the privilege of unveiling a statue of British Holocaust hero Frank Foley, stating that “if we don’t learn lessons, history will judge us very poorly indeed”. Defence Secretary Rt. Hon. Gavin Williamson MP reiterated his staunch support of Israel, asking: “Should we not as a nation always have the deepest and strongest bond with such a democratic nation? I say yes”. Ambassador of Israel H.E. Mark Regev in his speech thanked and paid tribute to Foreign Secretary Hunt for “all he did to stand with Israel this last week, when Britain joined the Jewish State in fighting Malaysia’s antisemitic ban on the Israeli Paralympians”. 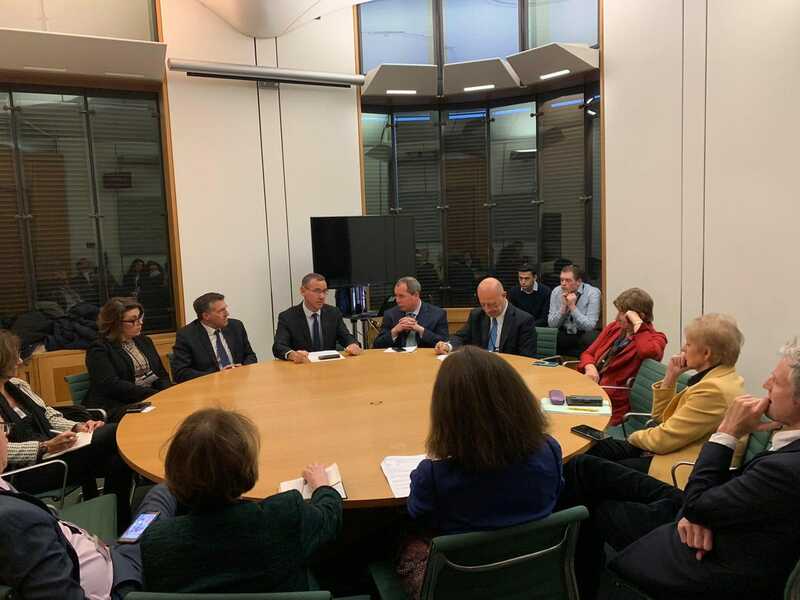 Ambassador Regev hailed the new trade deal agreed in principle last week between the UK and Israel: “A deal that is ready to be signed, sealed, and delivering jobs and prosperity for both our countries”. Conservative Party Chairman Rt. Hon. Brandon Lewis MP thanked CFI and its supporters for its “dedication” to campaigning, asserting: “You [CFI] are part of the family that are there with the Conservative Party, in the good times, the bad times, and all the way through”. Conservative candidate for Mayor of London Shaun Bailey, praised CFI’s work and recalled his visit with CFI to the Jewish State in 2012 and the “vibrancy” of the country. 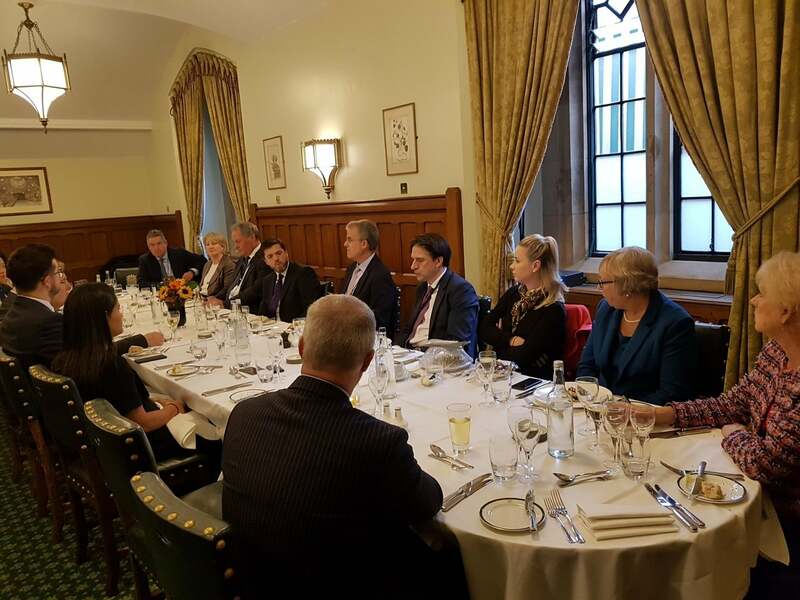 Mr Bailey welcomed soaring trade between the UK and Israel, with Israeli businesses “making such a positive impact on the lives of Londoners”. He emphasised that the Jewish community would “always have an ally in me” and that “antisemitism must always be fought”. CFI Vice-Chairman Rt. Hon. Theresa Villiers MP underlined her support for Israel and thanked CFI for its upcoming Action Day this Sunday in her Chipping Barnet constituency. Among those also in attendance were High Commissioner of Australia, H.E. George Brandis, High Commissioner of Cyprus H.E. Euripedes Evriviades, Defence Minister Rt. Hon. Tobias Ellwood MP, and Conservative Party Vice-Chair for Communities Helen Grant MP.